Full-Service Heating Company in Central MA | Whitney Bros.
As the only third generation family-owned and operated oil company in the Clinton, MA area, our team works hard to keep you comfortable year-round with personal, professional heating and cooling service. We understand that our success is based on your satisfaction. We are keenly aware that you, the customer, are our most valuable asset, and we pledge our commitment to keeping you warm during our harsh winters and cool during the summer. 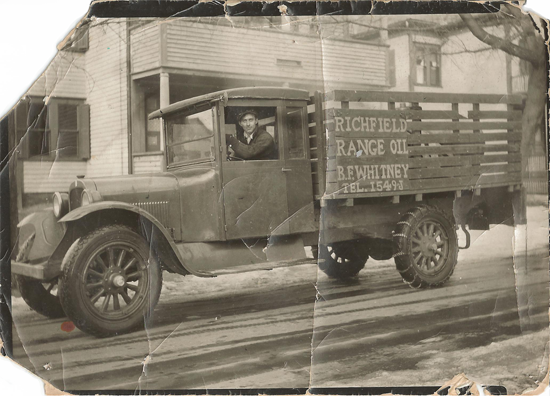 Since 1930, Whitney Brothers has been serving Clinton, Lancaster, Sterling, Bolton, Berlin, and other central Massachusetts towns with quality energy service. Now in our third generation, we remain the area’s leading full service company, well known for quality and friendly service. Whitney Brothers was founded by Benjamin F. Whitney in 1930 and was run by Martin B. Whitney, Sr. from 1951 until 2000. In 2000, Martin’s son Barry purchased the business, continuing the Whitney tradition of excellence and dedication. Over the years, we have consistently expanded our service offerings to best meet your home comfort needs. We look forward to serving you and our local communities for many years to come!